eview and recap for The 100! This week, I have reviewed and capped Ye Who Enter Here. It was quite an exciting hour of television, and I was completely lost beyond measure. Everything about it just fit and made sense. Yet, it was heartbreaking too. Read my epic piece below! I was like a fish out of water tonight as I engrossed myself in The 100’s Ye Who Enter Here. The acting, the storyline, the dynamic, the synchrony, the entire package was just, well no words. Everything fitted perfectly, well, despite a few missing pieces. The heart, the feels, the mind, turned to ash. At the end, I was lost in confusion, even threatened to throw my phone across my house, but recovered! Let us bow-I mean, begin! The inter-playing of Lexa and Clarke throughout the hour was just spectacular. Here was this Commander that done all of this horrible crap to Clarke, and yet she had the heart to forgive her. That takes true strength, and character. The offer of the coalition in which Skaikru would be the thirteenth Clan, was accepted later on. 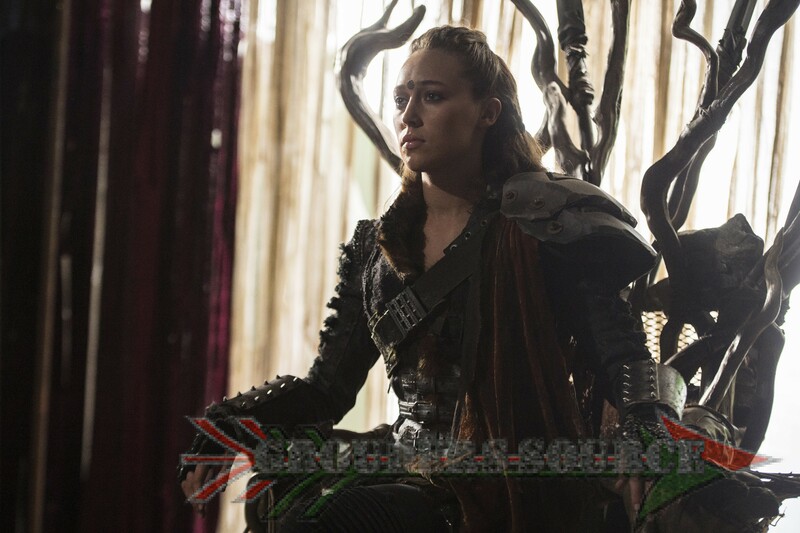 Becoming the thirteenth Clan means that they will have to follow Lexa, and stop the Ice Nation. Of course, what better way to celebrate with the formation of a new Clan with a Grounder-style ball? The ladies looked beyond beautiful in their gowns, and Clarke bows down before the Heda. This is a scene that will play in my mind for the rest of my days. However, in the very back of my mind, I do not trust Lexa. Maybe it has to do with the betrayal at the mountain. But, I digress. 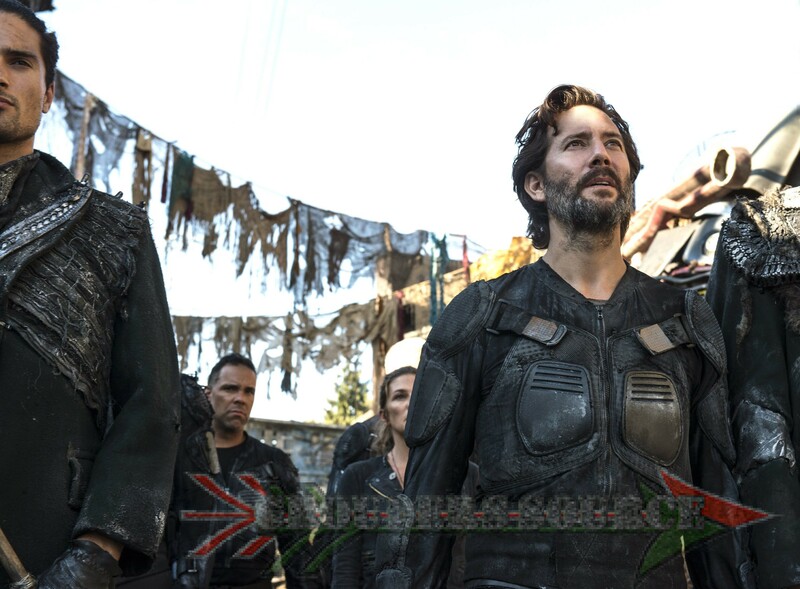 As leader of the Skaikru, Kane takes the branding on his arm, but is interrupted by Bellamy. He warns that the Summit is a trap, but Clarke shoots him down. Oh, man, this won’t end well. have always like Echo, and how she and Bellamy worked together to save the other from being body blood bags. She is being held prisoner by the Skaikru Guards, but Bellamy tells them to release her, and she spills some horrid details about the Summit being a trap. Echo leads them through the tunnels of Polis, and they have their complete trust in her. 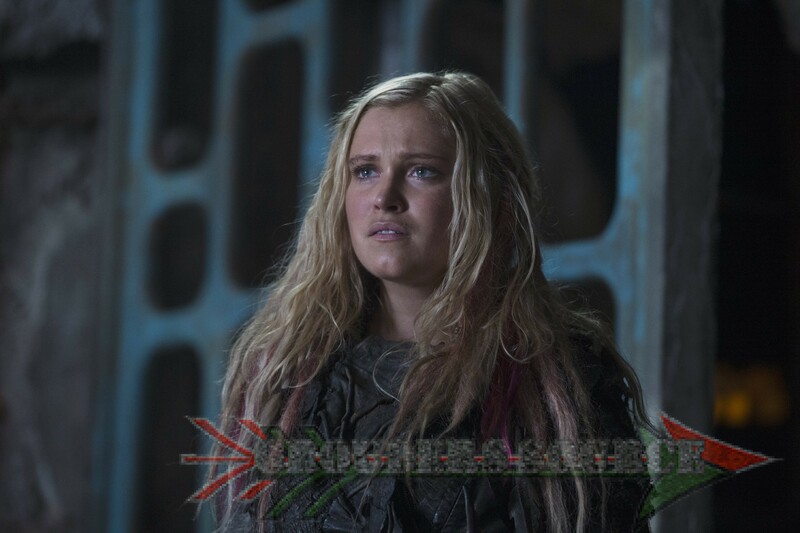 Yet, at the Coalition Summit, she is nowhere to be found, and she bows before her Queen (Ice Nation), and Emerson (ew) and it feels like she has trapped and betrayed Bellamy! No! Like I said, Becho is one of my favorite ships on the show, and I refuse to believe that Echo done a cruel, cold, and callous act! I absolutely refuse! With that being said, I envelope my faith in Echo. It is ridiculous, but she cannot be evil if she saved Bellamy. She cannot be evil! The poor man either got betrayed or lost the women in his life, so why put him through more agony? Another favorite of mine dropped in tonight, and that is Sinclair! Honestly, this man who is Raven’s mentor and genius behind the ARK does not give enough credit. Well, allow me to correct this, because Sinclair truly slayed tonight! He and Raven working together side by side, was one of the main highlights of tonight. She was giving up, but he pushed her through, as any great teacher would do. And, can I give him a round of applause for that fight sequence with the Ice Nation assassin? The only downfall is that Mt. Weather was not rescued, and thirty-five of their people died, along with Bellamy’s Gina. Raven’s and Gina’s scenes together were amazing, and it is most unfortunate that we will no longer see them together. Darn it. I wanted to see how far this solo squad would have accelerated. 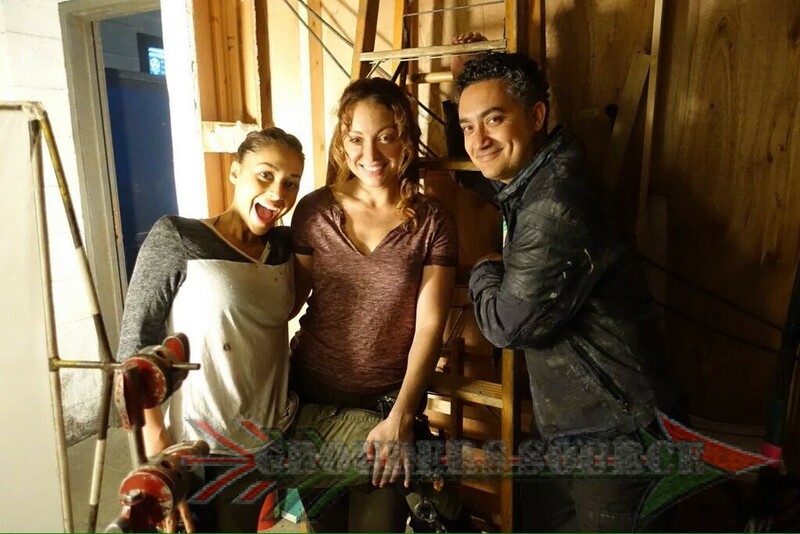 I haven’t really developed a likening or disliking to Gina yet, maybe a touch of jealousy that she was with Bellamy, but her death did not have to be that calculated and undeserved. No one’s life should be ended like that. Not even my worst enemy. I have a feeling that only darkness will ooze from here on out. But, Sinclair and Raven were spared, though it is a very sad awakening that they are the only survivors of the blast. The beauty of Polis, the Grounder capital was magnificent! I was in complete awe, like Kane was. The traffic, the activity, the tower in the center, the interaction of the people, it really blew me away. It felt like I was actually visiting such a mystique location, and I loved every moment of it. I wish we could have more ‘tours’ but since it will be the pivot point of the season, I have no doubts about future ones. Yet, again, something tells me that it will run negative. won’t be easy for me to continue budding trust. All in all, tonight was fantastic, and the cast and crew really blew it to pieces (literally). Not only that, I love edging off my seat, and just venturing in such a dark world. I am all too grateful that I do not live in that world, as that would be horrible and devastating. But, let’s us be thankful for the lives we have, and relish the talents and artistry of The 100. Did you enjoy Ye Who Enter Here? Comment below, or tweet Grounders Source your reactions!